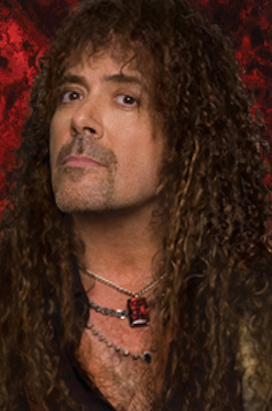 You have heard Jess Harnell as the lead voice in several animated series, including Captain Hero on “Drawn Together”, Chilly and The Wicked King on "Doc McStuffins", Cedric on “Sofia The First” and, most notably, Wakko on "Animaniacs." Outside of animation, you might recognize him as the announcer of “America’s Funniest Home Videos” and in numerous theme park attractions including Br'er Rabbit for Disney's "Splash Mountain." After 20 years on a deserted island, 80s metal band, Rock Sugar, had nothing to listen to but every favorite pop song of a 1980’s preteen girl. With the first twenty years of their lives spent listening to heavy metal followed by a twenty year forced diet of little girl pop, the band’s own influences have permanently collided with the unknowingly very influential 13-year-old Lisa Rosenberg. And now Rock Sugar is performing “re-imaginings” of the world’s favorite songs in ways that the world has never even dreamed of. Twenty years of what started with a shipwreck and turned into history’s longest reluctant rehearsal has paid off and the band, as well as the wild originality of what they have created, are beyond belief or explanation. But while you may be able to at last take the metal band off the deserted island, apparently you can’t take 20 years of exposure to 80’s pop out of the metal band. Prepare to have the line between pop and metal blown to smithereens and pour yourself a shot of Rock Sugar. 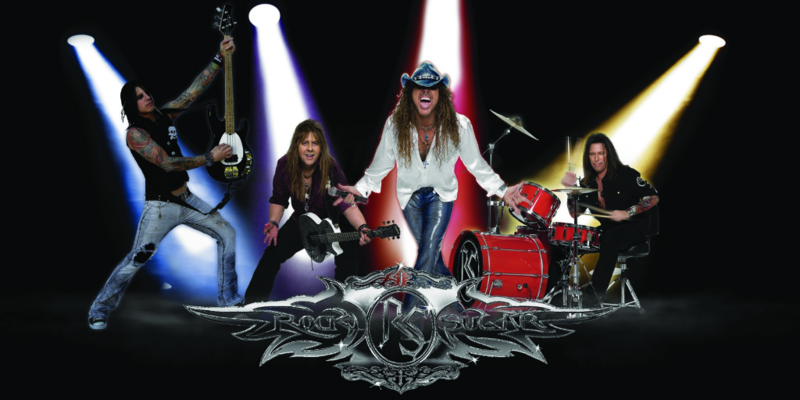 Read the full story of Rock Sugar at www.rocksugarband.com. Rock Sugar’s lead singer, Jess Harnell, is an Emmy-nominated voice actor that has appeared on practically every animated series on TV from “The Simpsons” to “Fairly Odd Parents” to” Phineas & Ferb.” In addition, he has dozens of starring roles, including “Captain Hero” on Comedy Central’s “Drawn Together”, Chilly and The Wicked King on “Doc McStuffins”, “Cedric” on “Sofia The First” and “Wakko” on Steven Spielberg’s “Animaniacs”, winner of multiple Emmy awards including Best Animated Series and the prestigious Peabody Award. Jess’s voice has been heard on countless popular prime time television series from “The Practice” to “Buffy the Vampire Slayer” to “Chuck” and announcing shows such as “America’s Funniest Home Videos” and E! TV’s hit series “Celebrities Uncensored,” which Jess essentially hosted. Jess has an extensive background as a rock singer winning numerous Best Singer awards and doing literally thousands of gigs as a studio vocalist and sound-alike, impersonating many famous vocalists flawlessly. In 1995, he released his solo album, “The Sound of Your Voice,” and was also the lead singer of Loud & Clear, a rock band which released several albums including Disc-Connected in 2003. Chuck is also the co-host of the award-winning web show, VO Buzz Weekly, which features interviews with some of the top men and women of the voice-over industry. The show recently celebrated its 200th episode. Copyright © 2018 Voice Chasers / Dekiru Productions LLC.